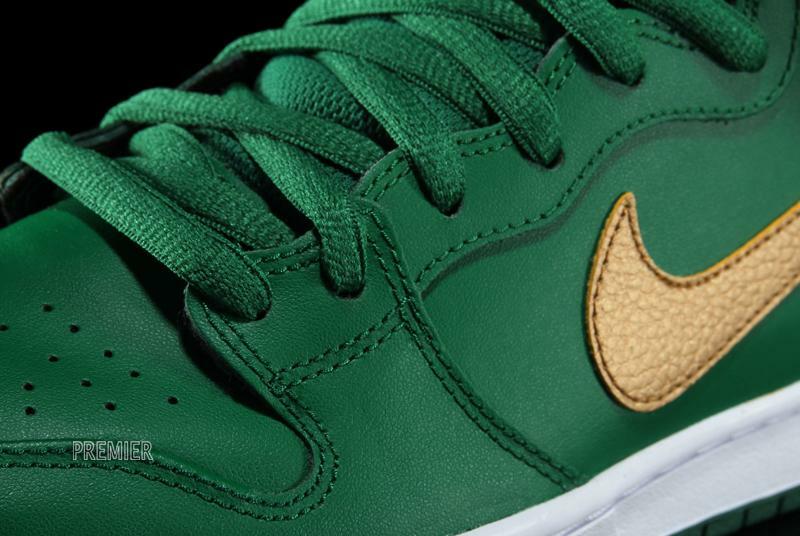 Nike SB celebrates St. Patrick's Day with the Dunk Hi Pro SB, available now. 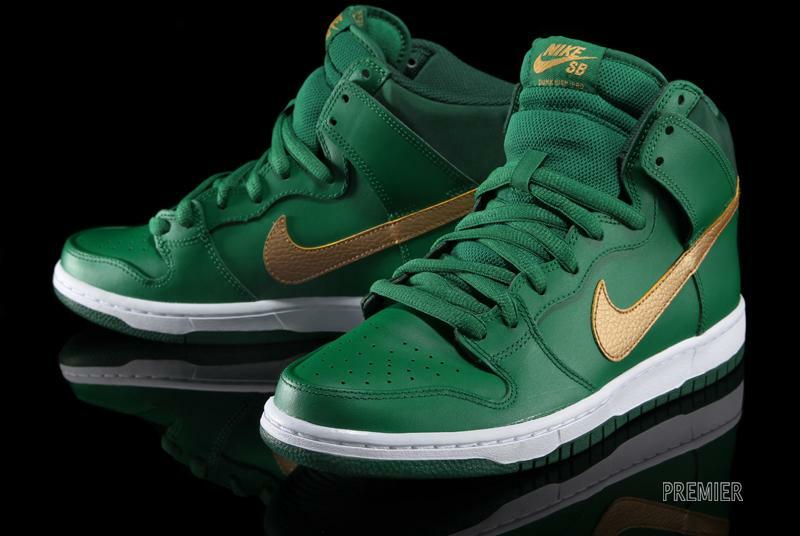 Nike SB celebrates St. Patrick's Day again this year with the Dunk Hi Pro in a green and gold makeover, perfect for the holiday. 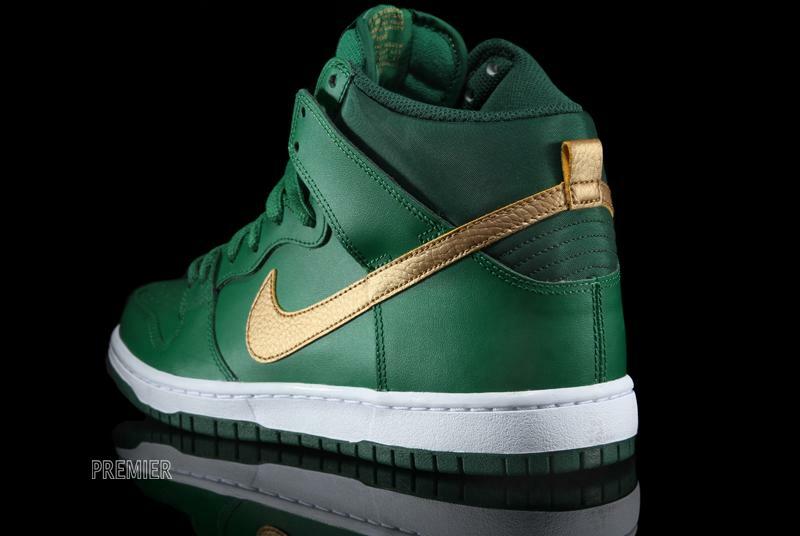 Officially 'Pine Green/Metallic Gold', this St. Patty's day Dunk Hi features a build in quality green leather with a hint of ripstop Nylon at the heel and white midsole. 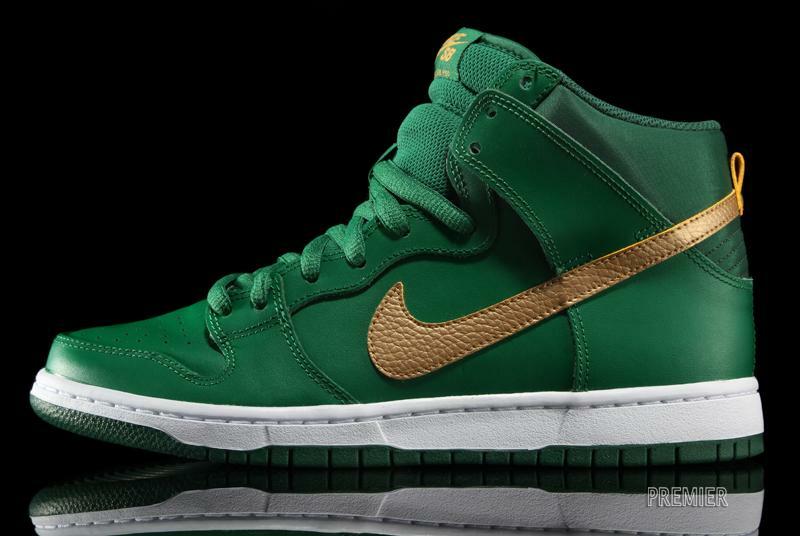 The Irish theme is completed with a shiny golden Swoosh that The Leprechaun, himself would be after. 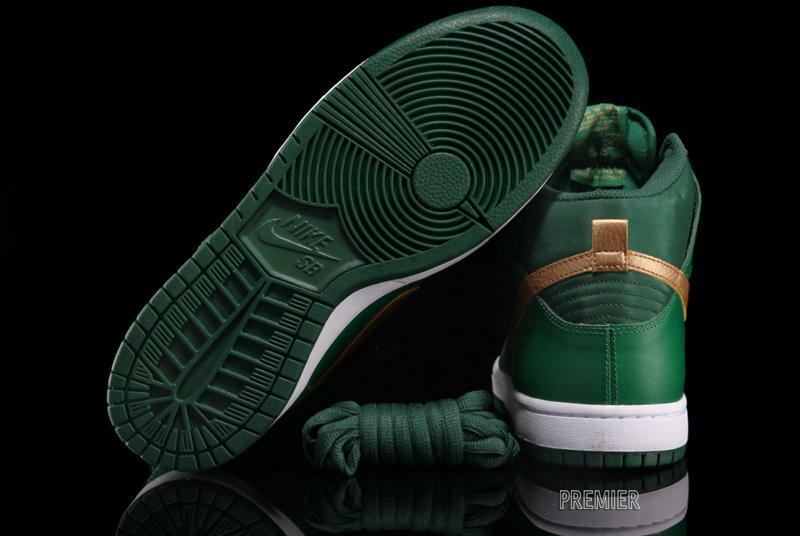 You can expect the St. Patrick's Day dunk Hi Pro at your local Nike SB-stocked skate shop soon, or pick them up now online from Premier.